This statistic depicts Shin-Etsu's net income from 2005 to 2018. 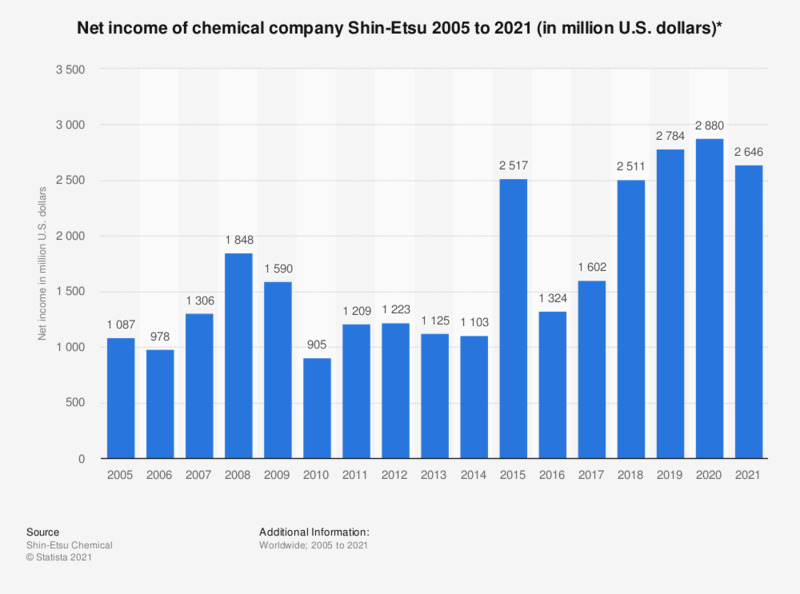 In 2005, the net income of chemical company Shin-Etsu amounted to approximately 1.09 billion U.S. dollars. By 2018, the net income increased to over 2.5 billion U.S. dollars. * Figures are valid as of March 31 of each year.